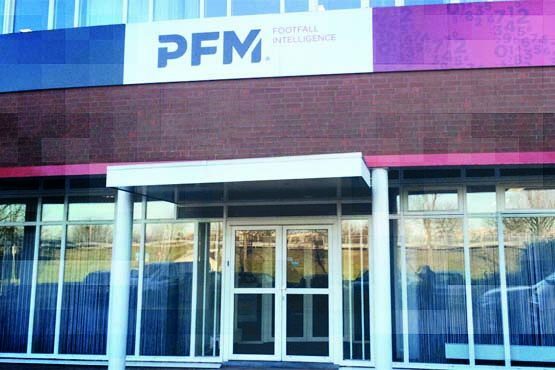 PFM Footfall Intelligence started in 1982, when FLUCON was founded in the Netherlands. What began with measuring oil and water soon developed into a company measuring and counting passenger- and visitor flows. Today we specialise in people counting and related data science. Working directly with clients across a range of sectors we offer a highly experienced team to design, procure and manage the implementation of ICT, Audio Visual and Intelligent Building technology. Technology and innovation have always been in our DNA. Throughout the years we added offices in several countries and collaborated with partners in order to expand our business globally. Our greatest strength lies in combining the right knowledge, expertise and technology to serve and fulfill our customers best interest in achieving their marketing effectiveness and profitability goals. We apply our technology to the wishes and requirements of our customers and provide reliable and valuable insights that will help in increasing traffic, conversion rates and growing their market share. In addition to data collection and delivering accessible reports, we provide a daily data check, advise on data output and a complete interpretation support. Innovation being of a great importance in serving our customers, we constantly provide the latest developments in data collection, such as real time data, augmented reality and targeted forecasting. This enables the customer to make the right decisions strategically and operationally. It is our mission to deliver the most innovative, accessible, reliable and cost-effective solutions for our clients. We are Passionate, Flexible and a More then reliable business partner. It is our goal to become market leader in supplying quality and innovative solutions in all markets we are active in. We want to stay in front of the latest developments in software, remain a reliable partner to our clients in the development process and ensure we are the best in custom-made solutions. We ensure the best quality and high customer satisfaction with our service. We do this not only with the right products and technology, but also with our enthusiastic team! Each team member is a specialists in his or her field of expertise. People with a lot of knowledge and experience that enable us to provide the right solution for each request. Vendit is a software company that focuses on the automation of retail, Wholesale and franchisers purchasing organisations. Vendit has become one of the leading producers and suppliers of automation solutions. Vendit is also a member of the Foundation Reliable Payment systems and carries the Certified Reliable cash register company. www.vendit.nl. PFM values your privacy. The role of privacy in our services, what steps PFM has taken to ensure privacy and what we do to protect your personal information can be found on this page.